The Harris family, owners of A.C.T. 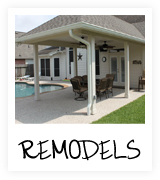 Services™, has been building and remodeling some of the finest homes in South Texas since 1978. 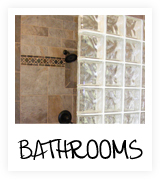 Your home is your largest investment and our customers are ours. When you choose A.C.T. 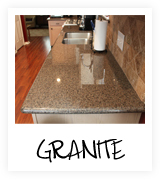 Services, we work hard to ensure you have the best building and remodeling experience possible. Our company is based on the belief that our customers’ needs are of the utmost importance and we are committed to meeting those needs. Our excellent reputation and long list of satisfied clients attest to our superior craftsmanship, attention to detail, clear communication, honesty and integrity. We are proud to have been a “preferred installer” with several of the best- known home improvement retailers in the nation. 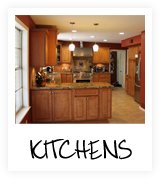 Whether a simple remodel or new construction of your dream home is in your future, Gary and the team at A.C.T. Services can make it happen. We are here to assist you in taking your home to the next level. Together we can create a home that you will love to come home to and that family and friends will gather joyfully for years to come. We welcome the opportunity to earn your trust and deliver you the best service in the industry.